Ireland Client's Indoor Playground Finished Installation ! Home News Jinshan News Ireland Client’s Indoor Playground Finished Installation ! Ireland Client’s Indoor Playground Finished Installation ! We customized a indoor playground for our Ireland client, the design was made according to client’s place size and budget. And now client has already finished installation. Her business will be open soon. 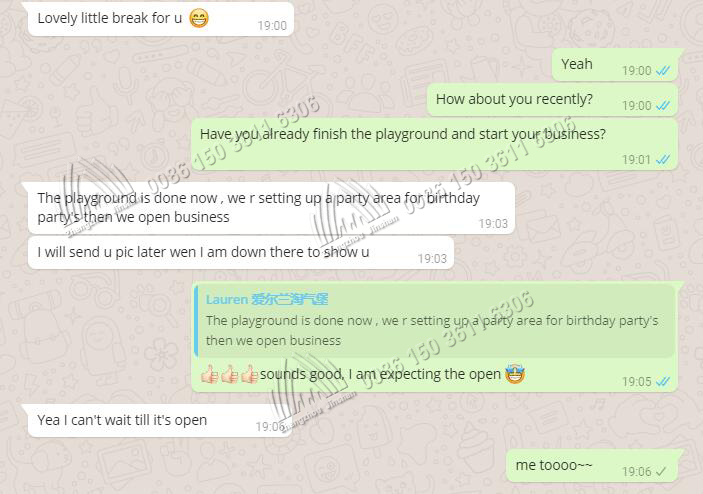 We provide detailed installation manual and drawing to client, and she finished installation quickly, we are glad to receive her feedback video. Wish it bring much happiness and laugh for kids, and we wish customers a prosperous business. Next： Good News: American Customer’s Trackless Train Is Arranging Delivery!